As most people know, Health Canada released a new version of Canada’s Food Guide just a few weeks ago. 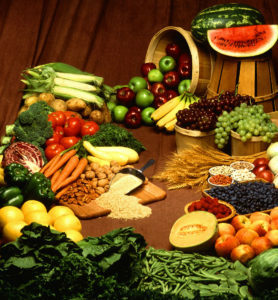 Advocating a diet focused more on plant-based eating and reductions in meat and dairy consumption. The new guide has gained much attention, particularly amongst the animal protein and dairy sectors who were accustomed to be the focus of previous iterations of the guide. Rather than giving attention to the food sovereignty agendas of the agricultural sector the guide’s new mantra is: “Canadians need to eat better and here is what you should eat”. The new food guide is strewn with glossy pictures of healthy food. It has replaced the serving sizes of old with food groups, the request to cook more of our food at home, and to drink water instead of juice. All of the recommendations center on the health and wellbeing on our country’s population. However, as well-meaning as the new guides suggestions are, we must ask: Will Canadians use the food guide and will it cost Canadians more to follow the new food guide’s recommendations? A recently released report by Dalhousie University and the University of Guelph explored Canadians perceptions of the new guide by comparing it with the last version of the guide and providing cost comparison. According to the report most Canadians know of the food guide and know that there was a recently published new version. They also know that by following portion sizes and food recommendations, at least in the short term, the new guide would save the average family money in their food bills. With one in every eight Canadian households being food insecure, the savings are welcome. But the savings may not last. Predictive models suggest the differential between the two guides will narrow significantly within a few years, and may perhaps even disappear. Our agricultural economy domestically just cannot provide what the guide suggests. With these shortcomings, in time, Canadians’ vulnerability to monetary fluctuations and regions stricken by major climatic events will become more apparent. With perhaps a new food strategy for a Nordic climate like ours, we certainly have some work to do. However, the report paints a less than rosy picture as to whether Canadians follow the guide. The guide is the sixth most important source of information for nutritional advice, yet it is often eclipsed by recommendations by family and friends, general research, social media and celebrities, and television programs. That’s right, Gwyneth Paltrow is more influential when it comes to dietary advice than our own food guide. Affordability, compatibility with taste preferences and the simple fact that it requires you to do all of your own cooking, cause further barriers to adopting the new guidelines. Another concern is that the report mentions that having more money and a higher level of education increases your likelihood of following the new guide, which highlights the somewhat elitist nature of the new guide. Health Canada should be applauded for updating a guide that was more than a decade old and for focusing the guide on advocating for the health of Canadians rather than providing a soap box for the agri-food sector. However, it is important to remember that Canadians aren’t solely patients within the schemes of health care and nutrition, but rather consumers who have families and are busy providing for their mortgages, bills and putting food on their tables, and not necessarily in that order. By publishing a guide that advocates the impracticability of generating no waste and cooking every single meal at home is troublesome at best. Consequently, the new Canada Food Guide is a step in the right direction, but it inherently remains an ideal for the nutritional elitist, not a guide as recent reports suggest. While the report suggests that people are interested in following its new ideas, it won’t necessarily be enough to make Canadians bite. The nutritional roadmap the new guide offers to Canadians is sound, yet it has little to do with most Canadians’ kitchen habits and culinary traditions. Over the next few years, Health Canada needs to make its case to Canadians that the new guide is worthwhile pursuing, more so than what some celebrity chef has to say.